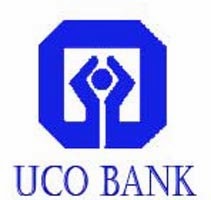 About Organization: Founded in 1943, UCO Bank is a commercial bank and a Government of India Undertaking. Its Board of Directors consists of government representatives from the Government of India and Reserve Bank of India as well as eminent professionals like accountants, management experts, economists, businessmen, etc. How to Apply: The Application in the given format should be sent first by e-mail: hohrd.calcutta@ucobank.co.in followed by hardcopy complete in all respect by Registered Post/Speed Post in a closed envelope super-scribed “APPLICATION FOR THE POST OF CHIEF ECONOMIST IN SCALE-IV “, to the following address: The General Manager (HRM) UCO BANK Human Resource Management, Head Office (Ist Floor) 10 B.T.M Sarani Kolkata 700001.